Pendergraft Professional Land Surveying Inc.
Pendergraft Professional Land Surveying (through its predecessors) has been in continuous operation in the area since 1976. We have over 38 years of records, field notes, and other data collected and stored in house which often proves useful and time saving on many jobs. Our existing Legal Plan inventory covers most of the area between Okanagan Falls to Osoyoos, and Hedley to Christina Lake, without the delay of acquiring the information from the Land Title Office. The office has both a British Columbia and Canada Land Surveyors on staff, and is well versed in the requirements and procedures of Legal Surveys on all types of land and water, including Indian Reserves. The Staff have performed thousands of man-hours of work in the South Okanagan, Similkameen and Boundary areas. Our knowledge base is invaluable in terms of efficiencies in access, local client relations, and previous ties to existing surveys. 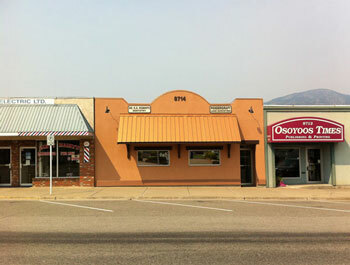 Our office is located at 8714 Main Street, in Osoyoos BC. © 2019 Pendergraft Professional Land Surveying Inc.